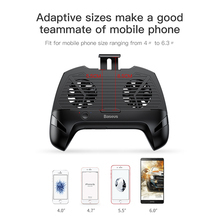 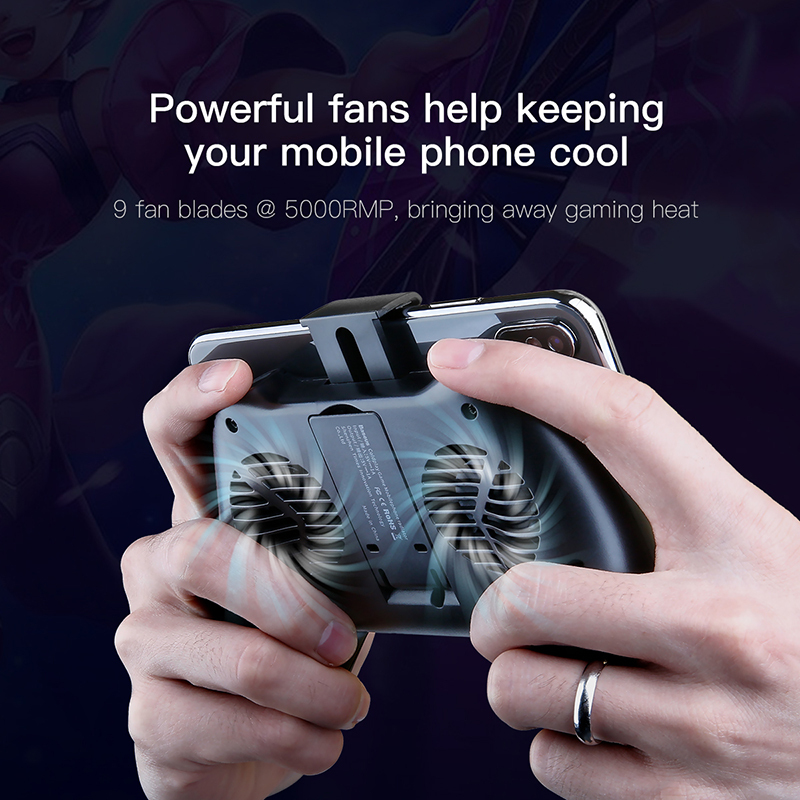 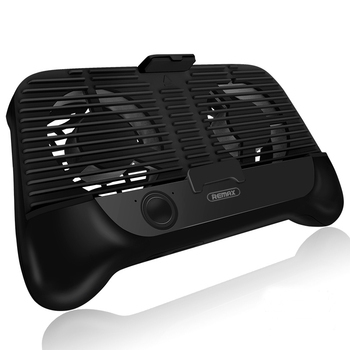 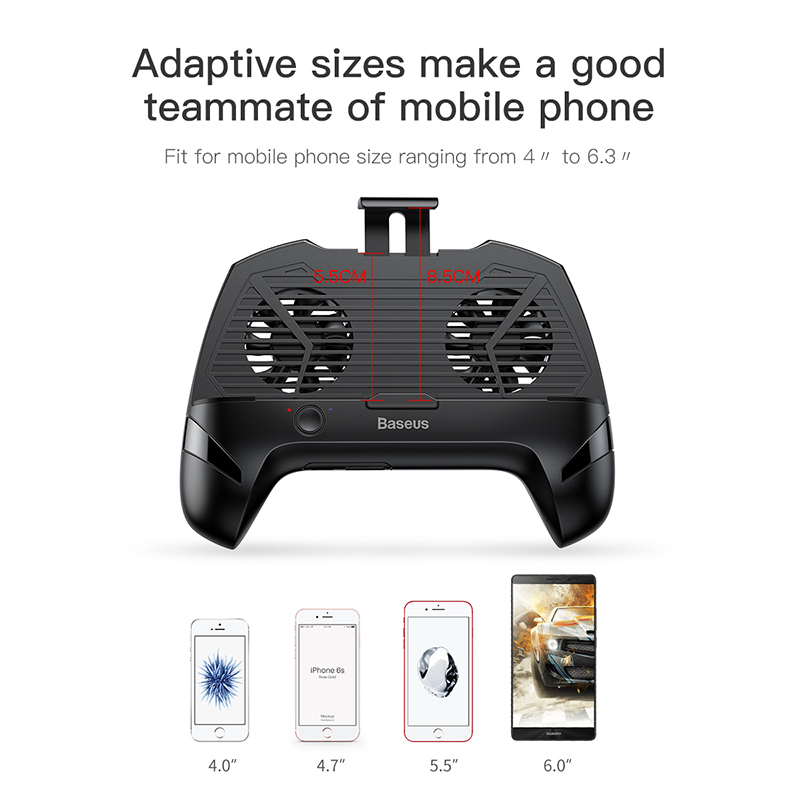 Double fans + Big cavity, rapidly removing heat produced by your mobile phone, keeping your games running in high performance! 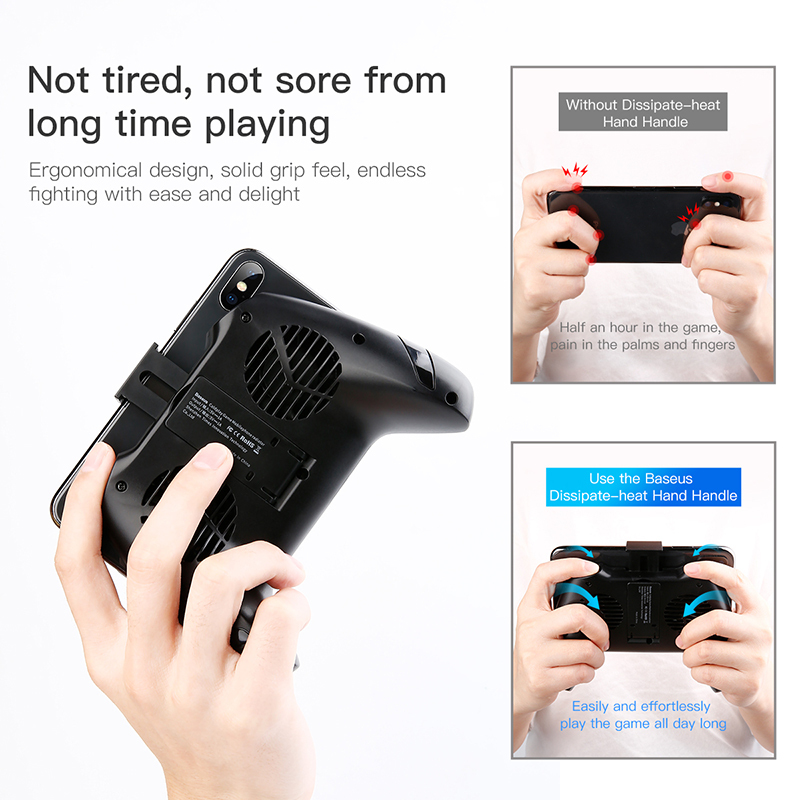 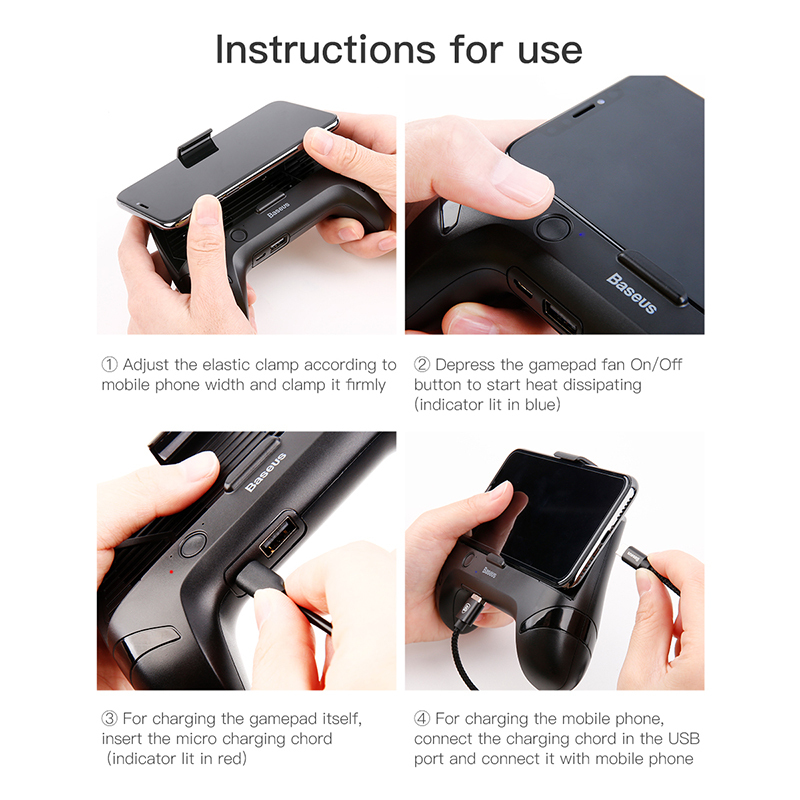 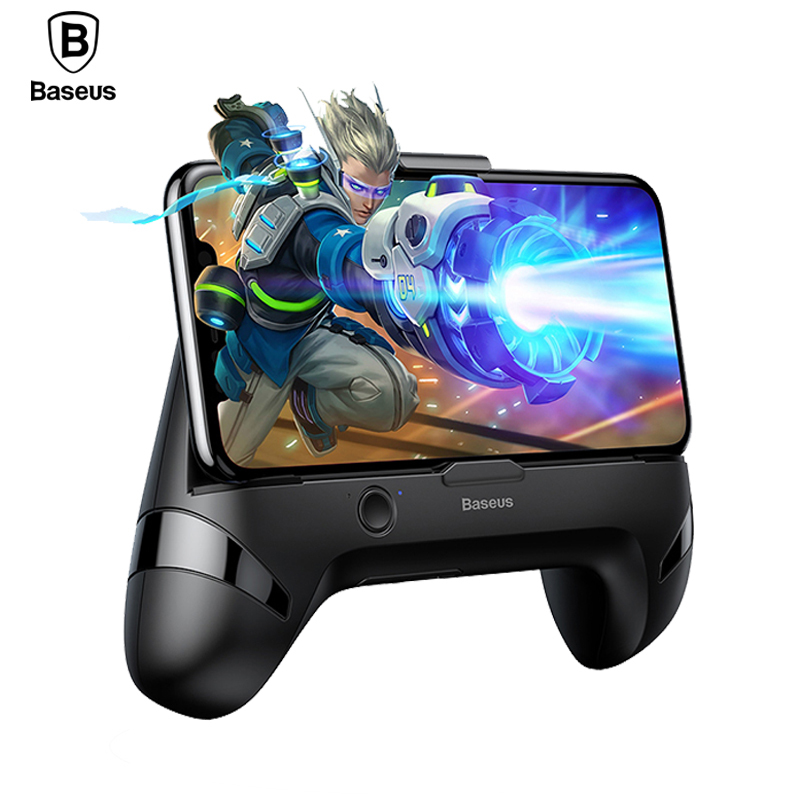 The gamepad Baseus allows best GRIP, more comfortable and no work up a sweat to play PUBG, not to mention of the assists that give the fans smartphone back that allow lower temperature and also avoids the hands you sudden since tanbien spear air to your hands. 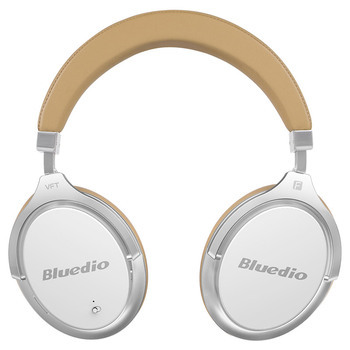 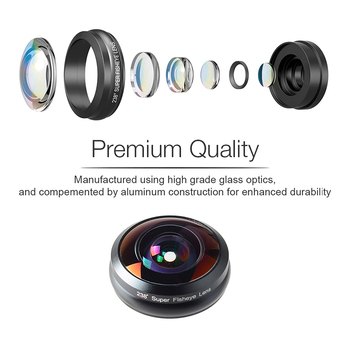 Also includes loaded that can be used directly to thy cellular for the game lasts longer. 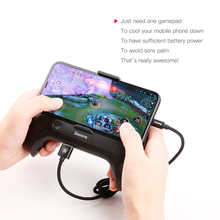 Still have not had to load the pad more than once in a good furniture time be using.